The shocking images – accessed over almost 10 years – were found when police visited Christopher Marsden’s home last year. 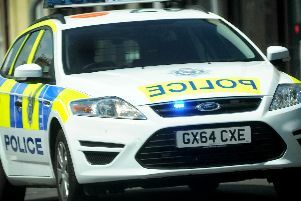 Marsden, 34, of Sea Lane, appeared at Worthing Magistrates’ Court this morning. He pleaded guilty to five offences: making/downloading indecent images of children (three counts), possessing prohibited images of children and possessing extreme pornographic images. Prosecutor Melanie Wotton said: “There are 615 Category A images. They are the most extreme images. Also found were 333 Category B indecent images of children and 394 Category C images. The court lists indicate that the images were accessed over a nearly ten-year period. Also found by police was evidence of ‘chat’ between Marsden and others ‘concerning sexual assaults of young children’, the court heard. The magistrates decided that the offences were so serious that they can only be dealt with at Crown Court. Marsden was bailed to appear at Lewes Crown Court for sentence next month.